Pink Umbrella Photography: Wedding Specials for January and February of 2012. Wedding Specials for January and February of 2012. Are you or someone you know getting married in 2012 or 2013? 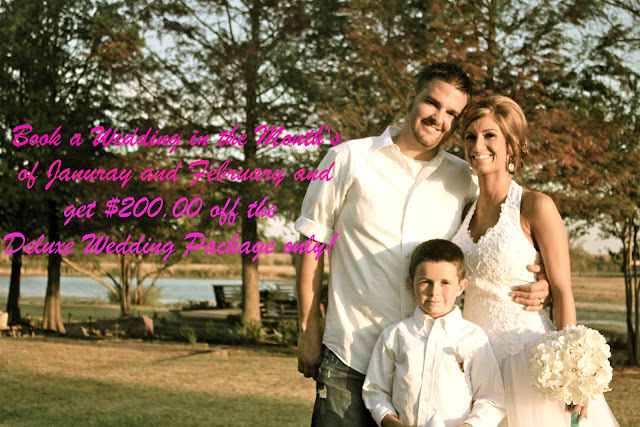 If you book in the months of January or February of 2012 you will receive $200.00 off of your deluxe wedding package. This is normally $800.00 for everything and you will receive it for $600.00. You must pay a $300.00 Deposit to secure your special date. Please let me know if you or someone you may know is interested.